In this article I detailed an indicator I refer to as VixRSI14 using monthly charts. Today let’s apply the same method to weekly bar charts. 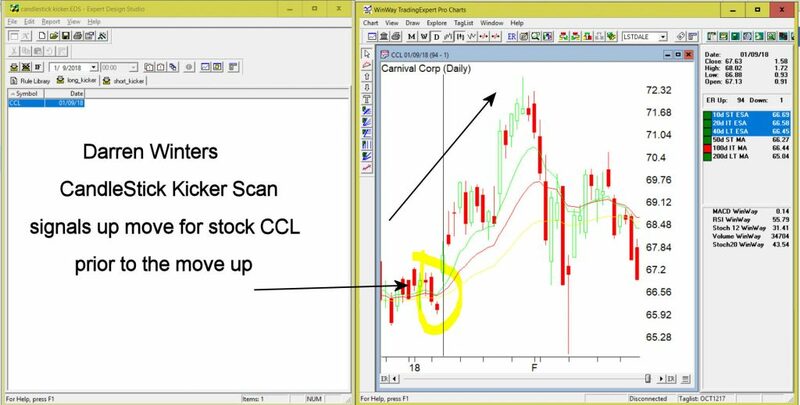 Before we do that a quick look at how this indicator functions. VixRSI combines two indicators – Larry William’s VixFix and Welles Wilder’s Relative Strength Index (RSI). In Figure 1 you see a weekly bar chart for YHOO. Notice that as price declines the VixFix indicator rises and RSI falls. VixRSI14 essentially measures the difference between the two and looks for extremes as a sign of a potential reversal. See Figure 5 for YHOO with VixRSI14. *Any actually trading”results” will depend heavily on what you trade, how much of it you trade, when you actually get in, when you get out with a profit and/or when you get out with a loss. *This VixRSI14 alert signal is simply serving notice that a given security may be overdone on the downside and may be ready soon to reverse to the upside. Nothing more, nothing less. In 2018 I intend to try to share a few more trading “ideas” that maybe are not quite “finished products”. VixRSI14 fits neatly into the “Idea” category. Sometimes the alerts are early. Sometimes the alerts are late. Sometime the alerts don’t really pan out at all. Sometimes alerts are followed by one more sharp decline which is then followed by a major rally. So maybe some sort of trend reversal confirmation would be helpful. I don’t know. Hey, that gives me an idea…. William’s VixFix is simply the 22-period high price minus today’s low price divided by the 22-day period price (I then multiply by 100 and then add 50). That may sound complicated but it is not. The code for AIQ TradingExpert appears below. The only good news is that every once in awhile something useful – or at least potentially useful (since no single calculation guarantees profitability which also involves other “minor” issues such as which securities to trade, allocation size, entry method, profit taking criteria, stop loss triggers and so on and so forth). A number of years ago I stumbled upon a calculation that I ultimately refer to as VixRSI (for reasons that will become fairly obvious soon). More specifically I have a few different versions but one I like is call used VixRSI14. First the Good News: In this and some future articles I will detail how I apply VixRSI14 to monthly, weekly and daily price charts. Now the Bad News: Nothing that I will write in any of those articles will detail a “simple automated system that generates you can’t lose trading signals guaranteed to make you rich beyond the dreams of avarice.” Sorry about that. But I thought you should know. The truth is that the indicator generates signals – and yes, a certain percentage of the time those signals aren’t that great. And even on occasions when the signals are decent all of the factors I mentioned above (securities traded, capital allocation, etc.) still hold the key to turning a “signal” into a “profit”. 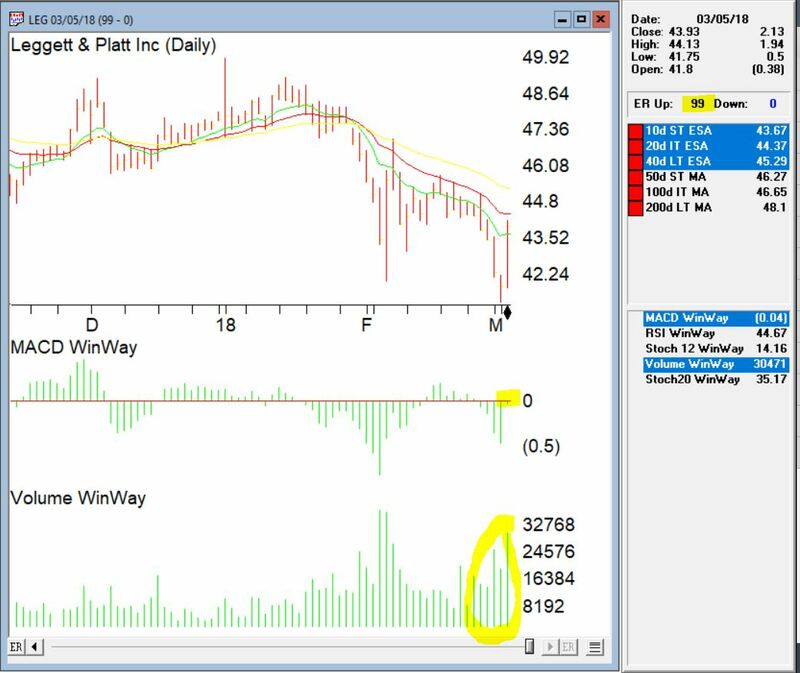 VixRSI14 is calculated by combining Larry William’s “VixFix” indicator with the standard old 14-day RSI from Welles Wilder. I’ve decided to put the calculations at the end of the article in order to avoid scaring anyone off. For now let’s look at what to look for on a monthly price chart. *Before going on please note that there is nothing “magic” about 3.5 or 3. Different values can be used and will generate varying results. Figures 1 through 4 show several different Dow30 stocks “through the years. Buy alerts on monthly charts using the criteria I described are obviously very rare. In fact many securities never see the VixRSI14 rise high enough to trigger an alert. Likewise, not every 3.5 then 3 event for every stock will work out as well as those depicted in Figures 1 through 4. Still, remember that I am just presenting an “idea” and not a finished product. William’s VixFix is simply the 22-day high price minus today’s low price divided by the 22-day high price (I then multiply by 100 and then add 50). That may sound complicated but it is not. The code for TradingExpert EDS appears below.